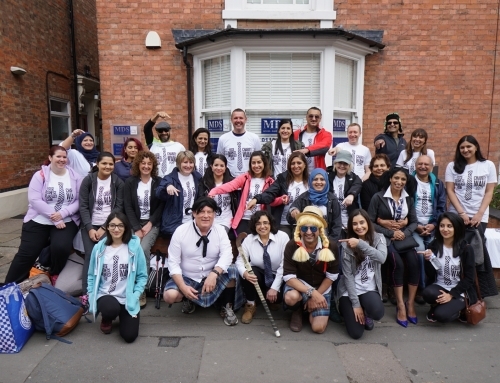 Members of Leicestershire Law Society and Fosse Business Breakfast Club walked ten miles to raise more than £10k for local charity, Rik Basra Leukaemia Campaign. The group of 80 business men and women and their families – as young as 14 and as old as 67 – completed the ten mile Monsal Dale walk in the Peak District on Saturday September 26, with some members in fancy dress outfits. 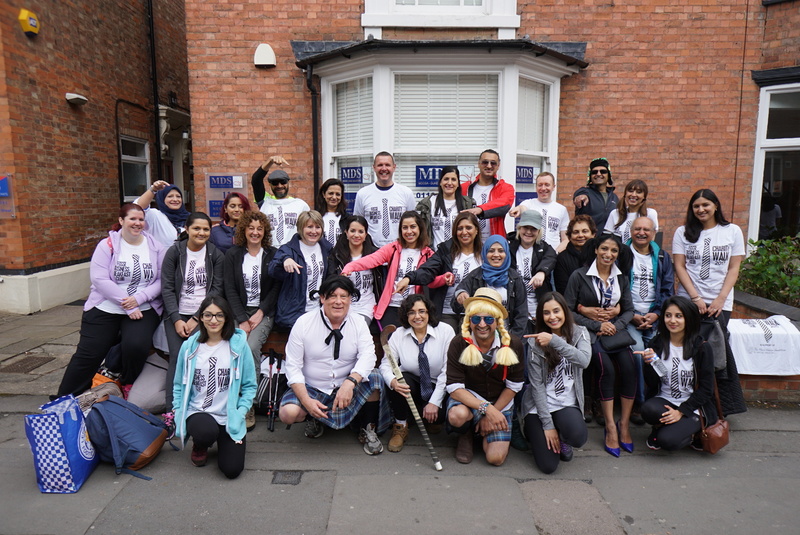 Mehmooda Duke, president of the LLS and member of Fosse, said: ““Rik is doing such a wonderful job with his Pass It On Campaign with the whole City getting fully behind him in finding more and more donors for those affected with leukaemia. We are so proud to be supporting him through the money raised from our 10 mile walk. Throughout September various companies and organisations across the City are hosting Pass it On stem cell registrations for the Rik Basra Campaign and encouraging 16 to 30 year olds to sign up to the Anthony Nolan Register. Rik and his wife Kas did not take part in the walk due to a donor drive they held at Leicester City’s game with Arsenal, however they have pledged to take part in the business club’s walk next year, on behalf of another charity. Rik said: “I’m absolutely delighted that the Fosse Business Breakfast Club and Leicestershire Law Society are teaming up to help raise funds for our work. To sponsor the ten mile walk click HERE. The donations page will stay open until the end of October.